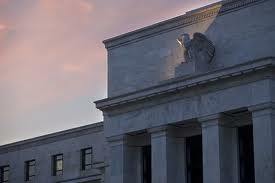 The operations of the Federal Reserve board are notoriously shrouded in mystery. Technocratic decisions on monetary policy that supposedly need to be protected from the fickle pressures of politics are carried out by an appointed board of governors who like to operate behind closed doors. 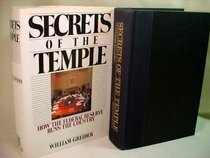 William Grieder set out to demystify this institution in the late 1980’s with his book Secrets of the Temple. He came to the obvious conclusion that the best way to help the average citizen understand the Fed and its impact was to….write a 700+ page book about it. The book could have been shorter, as it repeats its central thesis … repeatedly. However, after having made my way through to the end of it, I can say that it is excellent in many other respects. It traces the history of central banking throughout US history but focuses mostly on a sea change in monetary policy in the US that took place during the reign of Paul Volcker as Chariman of the Fed, which began in 1979. We commonly think of the election of Ronald Reagan as the turning point that sent America down a path of mushrooming inequality that came about as a result of deregulation, outsourcing, and the rise of the financial industry at the expense of our manufacturing base. Grieder shows that this turning point in fact took place under Jimmy Carter, who appointed Volcker with a mandate to control inflation, which was running high during the last year of his presidency. Grieder presents one central conflict throughout this book: the choice between preventing inflation and promoting economic growth and full employment. When the economy booms and unemployment shrinks, inflation tends to happen. When inflation happens, it creates winners and losers. Those who sit atop accumulated wealth lose. The real purchasing power of their accumulated capital shrinks. The price they must pay for labor rises, as workers find themselves in a stronger bargaining position in a tight labor market. Those who hold more debts than assets win. The real value of their debts falls, shrinking the amount they must pay on their mortgages, car loans, or debts taken on to start a new business or supply a family farm with machinery. Their wages also tend to rise as the economy generates new jobs and competition for the jobs that are available gets less intense, giving workers a stronger bargaining position. Grieder does not argue that there was no need to address inflation as a problem in 1979. He does argue that it did not need to be addressed with the iron first that was used to crush it, because a certain amount of inflation leads to a more equitable distribution of wealth in society. What does this have to do with the Federal Reserve? The Federal Reserve sets the interest rate it charges banks, which ripples out to determines the interest rates the banks charge their customers out in the “real” economy. Higher interest rates slow the economy down by raising the price businesses and farms must pay for their start up capital. If businesses have a harder time borrowing money to start new enterprises or maintain their existing ones, they lay people off or do not hire in the first place. At the same time, higher interest rates benefit those who hold large reserves of wealth, even as they hurt the economy as a whole. In addition to the aforementioned benefit of increasing the real value of that capital, it increases the amount of money large investors can make by lending it out. When Volcker ascended to the chair of the Fed, interest rates were raised, and kept high throughout his tenure. This is referred to as “tight money.” He succeeded in bringing inflation rates down from the double digits to near zero, at the expense of throwing huge numbers of people out of work. Grieder’s book doesn’t just document this with dry statistics. He interviews laid off steelworkers, farmers, construction workers, building contractors and others, chronicling the depression and social disruption that were the direct result of the changing priorities of monetary policy. This keeps this 700 page door-stop from reading in the dry detached way you might expect a book on this topic would. Iacocca and other manufacturing executives pressured the White House to get the Fed to lower interest rates so that the value of the dollar would come back to earth, and loosen the noose that was gathering around the neck of people in places like Detroit and Iowa, where farmers were having a harder time selling their crops for the same reason Chrysler was having trouble selling cars. Ultimately, the Regan administration decided against them. The influence of CEO’s like Iacocca was waning, because the influence of the financial industry that was benefiting from the high interest rates and tight monetary policy was growing. In that respect, one thing I respected about the book was that it did not break down into an oversimplified account of rich vs. poor. It paints a picture of conflict within the executive class as well. In a battle between manufacturers and bankers and bonds holders, Wall Street won. This battle also took place within the Republican party and the White House itself. Republicans like James Baker, Jack Kemp and Howard Baker all railed against the Federal Reserve’s decision to keep interest rates high during the ’80’s. Kemp even introduced legislation designed to curb the power of the Fed and bring it under the wing of the Treasury department. If anything, Grieder paints a picture of the Democrats as more acquiescent to Volcker and the Fed than this contingent within the Republican party. The Republicans in power wanted to stay in office, and some of them feared that the high unemployment and low growth that the Fed was creating would cause them to lose elections. Others, such as White House budget director David Stockman, fought in support of the direction Volcker was taking the economy. Volcker, of course, did not have to worry about running for office. His vote of confidence came from his constituents – the financial industry. When confronted with a group of state representatives from 11 agricultural states who came to lobby him to ease fiscal policy, he flatly told them, “it’s simple: your constituents aren’t happy. Mine are.” It was a bold statement of a fact that was supposed to be kept secret: the second most powerful person in government did not serve the interests of the country as a whole. He served the interests of the financial elite, at the expense of huge swaths of the rest of the country. The main goal of Grieder’s book is for this political conflict to come out into the open. If the levers by which the Fed manipulated the economy were better understood, they could, theoretically, become a more openly discussed part of the electoral process, especially if the Fed was made more accountable to the people and their elected representatives. The book was nearly 25 years ago, but that still hasn’t happened. Matt Taibi has just published an article in Rolling Stone magazine that shows that the grip of the financial industry over our government has if anything become more entrenched than it was before the 2008 TARP bailout program. It also chronicles how the better-known total value of the TARP package pales besides the value of the virtually interest-free loan packages the Fed has made available to Goldman Sachs and other tentacles of the financial industry. What do you think the chances are of me getting the same rate of interest on my student loans? “The $700 billion in TARP loans ended up being dwarfed by more than $7.7 trillion in secret emergency lending that the Fed awarded to Wall Street – loans that were only disclosed to the public after Congress forced an extraordinary one-time audit of the Federal Reserve. The extent of this “secret bailout” didn’t come out until November 2011, when Bloomberg Markets, which went to court to win the right to publish the data, detailed how the country’s biggest firms secretly received trillions in near-free money throughout the crisis. Read Taibbi’s article. It’s long – but not as long as Secrets of the Temple. And I think you can handle it. 13 Jan	This entry was published on January 13, 2013 at 9:55 pm. It’s filed under Anti-Neoliberalism, Book Reviews, Debt, Economics, History, Politics, Series of posts, Uncategorized and tagged Book Reviews, Economics, History, USA, Washington Consensus, William Grieder. Bookmark the permalink. Follow any comments here with the RSS feed for this post. Reblogged this on Until The Twilight.